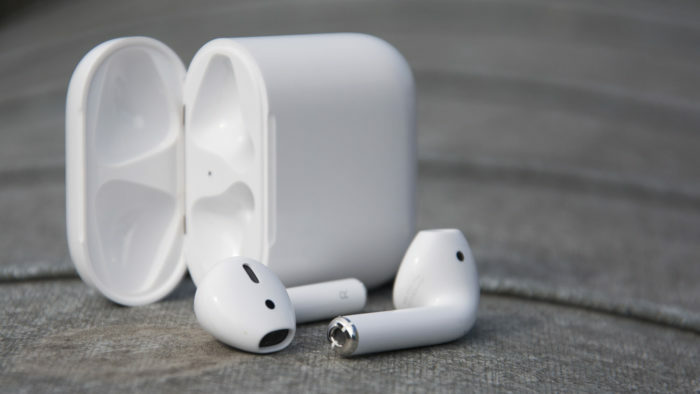 The AirPods were introduced on September 7, 2016, along with the iPhone 7 and Apple Watch series 2. And they have caused resounding success among consumers. Do you already have your AirPods but they do not work properly? Are they failing? Well give me a few minutes of your time. I’ll explain how to reset AirPods to their factory state so that they work perfectly again. It is not usual for AirPods to lose their signal with their mobile, or any other device. Or that they present problems that prevent connectivity or other problems. But there are always some exceptions in which this can happen. First of all we’ll have to make sure that both AirPods are in the case. And that both the AirPod and the case have enough charge. Once this is done, on the back of the AirPods case, we will have to look for the only button on the outside of the box. It can be a bit difficult to find. Since it combines quite well with the back case. But by running your finger over it, we will soon find you. Then we will open the AirPods case and keep the button pressed for a few seconds. Once this is done, the indicator inside the box should be flashing a blank light. This would mean that we have achieved our goal. And this would be everything. The AirPods will now be restored from 0. And will no longer recognize any device or any device linked to our iCloud account. Now, when we open the AirPods box, we will be asked to configure everything again. On the other hand if we have more questions or want to get more information about Apple devices, we will always have the option to enter the official Apple page. There we will always enlist a broader solution to our problems.